With the addition of rear-wheel steering, adaptive damping and a customizable ‘Ego’ mode, the Lamborghini Aventador S has become more useable on a daily basis. But the 6.5-liter V12 has been tuned to deliver more power, now up to 730hp, to all 4 wheels via a single clutch automated manual transmission. The optional Bicolore Sportivo Alcantara package equips Alcantara clad seats and dash in two-tone color combinations of your choosing. Safety features include carbon ceramic brakes, ABS, and drive-mode linked stability control. Think of the Aventador S as the mid-life refresh of Lamborghini’s latest generation of V12 madness – arriving first as a coupe for the 2018 model year, a roadster will join the ranks at a later stage. The Aventador S gets a bump in power, revised styling, and technology developed for the Aventador SuperVeloce, or SV that graced our presence in 2015. The biggest new addition to the big Lamborghini’s repertoire of performance hardware is the addition of all-wheel steering – putting it on even keel with the other Italian V12 supercar, the 812 Superfast. The Aventador S is the evolution of the original Aventador, but the fighter-jet inspired interior design has evolved little for 2018. Fighter jet style toggle switches are responsible for the majority of the important functions, and the flip up red cover that houses the start button is the right kind of theater. An assortment of leathers are available for covering all surfaces, but there’s also options like carbon fiber cladding and inlays, aluminum trim pieces, and leaving sections of the carbon fiber chassis exposed. Mounted just abode the start button housing, the drive mode select buttons have been tweaked for the S to now feature an ‘Ego’ button – a customizable individual mode. Ahead of the driver, a leather clad sports steering wheel is paired with metal gear shift paddles, the combination mounted in front of a revised TFT LCD multifunction display with completely redesigned graphics. For the Aventador S, Lamborghini equipped magnetorheological adaptive damping as standard to improve the ride quality. It’s linked to drive modes though, so when in Sport mode to make best use of the engine and gearbox, the suspension becomes too firm for comfortable road use. Comfort mode makes it supple and accommodating. A substantial upgrade made in the transition from Aventador to Aventador S includes the addition of rear wheel steering, making low speed maneuvers easier by reducing the turning circle, but making high speed driving mode stable by turning all 4 wheels in the same direction. The system pairs with active drive modes to adjust weighting and responses for a tailored driving experience and variable handling characteristics. It sounds novel, but the Aventador is still a big car, and even electronic trickery like rear-wheel steering can’t make the Aventador S shrink around the driver and feel nimble. The Aventador S may borrow tech from the SuperVeloce, but Lamborghini wouldn’t allow it to step on the SV’s toes too badly. To that end, the mid-mounted 6.5-liter V12 is now tuned to deliver 730 horsepower (740PS) and 509 lb-ft of torque, earning the Aventador S the denomination of LP 740-4, the ‘-4’ indicating permanent all-wheel drive. The automated single-clutch gearbox carries over from the standard Aventador, though even the changes in programming can’t change its clunky nature. The Aventador S’s performance is suitably quick, 0-62mph taking 2.9 seconds, with top speed pegged at 217mph. Along with the Aventador S’s range of available colors, the choice between full leather and Alcantara seat trim exists too. 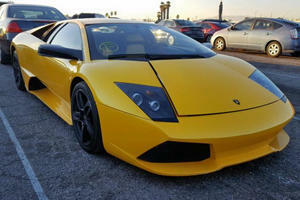 All models can also be subjected to Lamborghini’s Ad Personam customization program. The old Audi-based infotainment system may feature revised graphics, but it’s still a simplistic system, though it does have Bluetooth connectivity. A rear-view camera is available to aid rear visibility, and in turn safety. Other safety features include driver, passenger, side, and knee airbags, whilst traction and stability control are integrated into the cars drive modes. 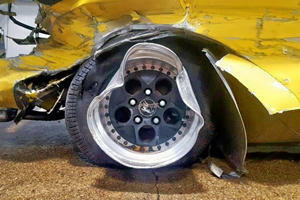 ABS is equipped to the carbon ceramic brakes with 6- and 4-piston calipers front and rear. 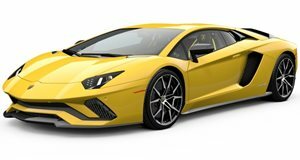 In its transition from Aventador to Aventador S, the big Lambo has matured from muscular brute into something a little more graceful, a little more agile, and a little more enjoyable in the process. But it still feels big and cumbersome, and the gearbox is still its weakest point. 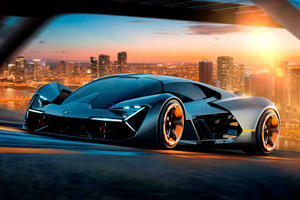 The styling of Lamborghini's next flagship supercar will reportedly be inspired by the Terzo Millennio Concept.